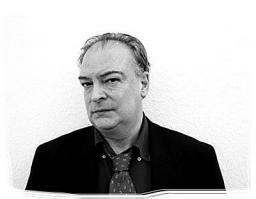 Enrique Vila-Matas is one of the most prestigious and original writers in contemporary Spanish fiction. With an extensive body of work, his novels have been translated into 35 languages, garnering widespread international praise. Among his works one should not fail to mention: Historia abreviada de la literatura portátil (Anagrama, 1985 – Debolsillo, 2015), El viajero más lento (Anagrama, 1992 – Seix Barral, 2011), Bartleby y compañía (Anagrama, 2000 – Debolsillo, 2016), El mal de Montano (Anagrama, 2002 – Debolsillo, 2013), París no se acaba nunca (Anagrama, 2004 – Seix Barral, 2013), Doctor Pasavento (Anagrama, 2005 – Seix Barral, 2017), Dublinesca (Seix Barral, 2010), Aire de Dylan (Seix Barral, 2012), Fuera de aquí (Galaxia Gutenberg, 2013), a conversation about his works with his French translator and friend André Gabastou, Kassel no invita a la lógica (Seix Barral, 2014) and Marienbad Éléctrique (Bourgois, 2015), a short essay on the nature of art and creation for Dominique Gonzalez Foerster’s retrospective in Paris in 2015. He is the recipient of many prestigious honors and awards such as Rómulo Gallegos Award 2001, Prix Fernando Aguirre-Libralire 2002, Herralde Novel Award 2003, Prix Médicis 2003, Ennio Flaiano Award 2006, Elsa Morante Literary Prize 2007, Mondello Award 2009, Prix Carrière 2010, the Bottari Lattès Grinzane 2011, Officier de l’Ordre des Arts et des Lettres de France 2013, the Formentor Prize 2014, the prestigious FIL Award 2015, the Catalan Culture National Award 2016, the Feronia Città di Fiano Award 2017 and the Prix Ulysse (2017). He was named Chevalier of the French Legion of Honor, is a member of the tumultuous Order of Finnegan’s and is the (unknown) rector of the Unknown University of New York (McNally Jackson). After the publication of his latest novel, Mac y su contratiempo (Seix Barral, 2017), already acquired in several territories, hi has just published Impón tu suerte (Círculo de tiza, 2018).